I don't think I have ever seen one of those emails. 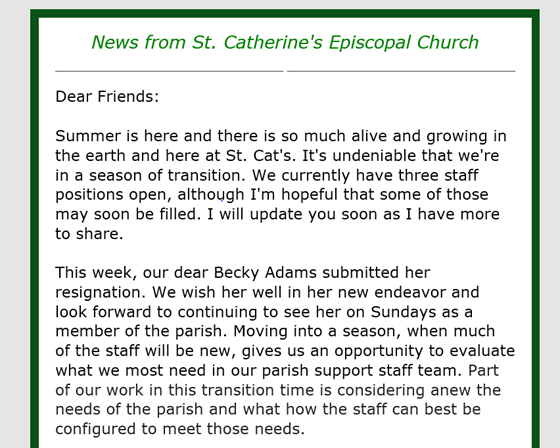 I see FaceBook updates from St. Cat's occasionally. I see FaceBook updates regularly. I look for FaceBook updates and often share them with my network. 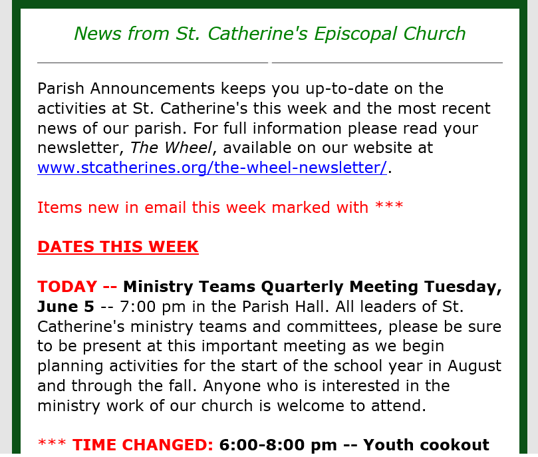 I never go to the St. Catherine's website. I get my information from other places. Sometimes I use the website to check service times, serving schedules or for other information. I often use the website for information. * 9. 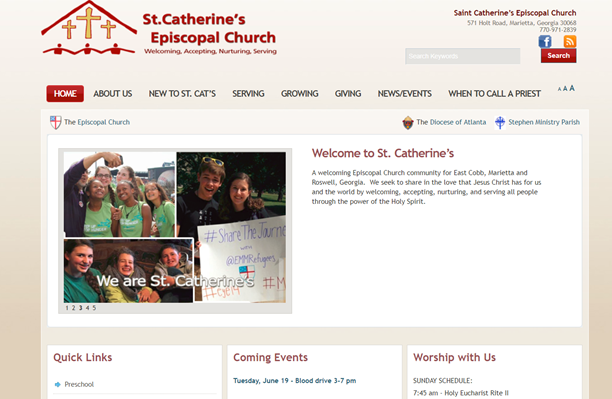 Our current budget includes funding for redesigning the St. Catherine's website. What do you think the primary purpose of the website should be? I think the website should be focused on potential visitors and newcomers to the church. 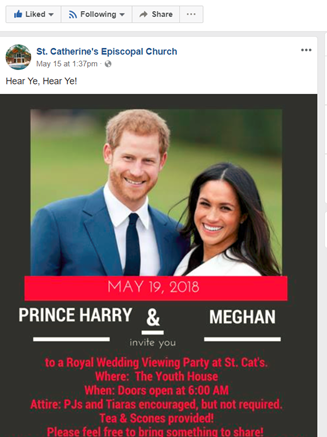 The photos and information should make them want to come visit St. Catherine's. The website needs to serve both visitors and parishioners but it can be redesigned to make it better for both groups. The current website serves us well and we should only make minor changes. No way - I want to keep the name The Wheel. I have no attachment to the name and have no problem changing it. * 13. What do you think about adding more videos to the Wheel and/or the website? I don't think I would take time to watch them. I would watch some of them. Great idea! I would enjoy watching videos.